Even if you use the fancy spelling and call it résumé, it's not going to do you any favors as recruiters and HR people look at 100s of resumes per day and yours won't stand out. In fact, in can be rather annoying for them as they have to change the titles themselves sometimes. Make the title your name and make sure the file name is your name as well. Not sure who came up with this recommendation in the first place, I have friends who had a one page document for years. Your resume should obviously be concise and to the point but one page does make it look like there is a page missing and probably left in the printer. The rule of thumb is, the longer the career, the longer the resume so go ahead and fill out what you have done and if it lands at 2 full pages that is fine (as long as it’s relevant information). These personal details have no place in your resume, if it’s on your profile you might be accused of ageism and other unpleasant things. Make sure to remove. 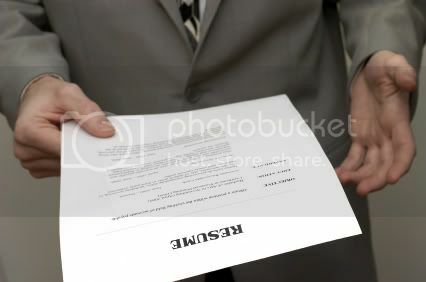 A photo on a resume is a bit weird somehow, it comes across as the person is using their looks to secure a job. And most often the photo will not be great and therefore do more harm than good to an applicant. There are of course exceptions to this rule, in case you are in TV, modeling, entertainment etc you can get away with it. You will be told when a photo is required on a resume and by default it is not.